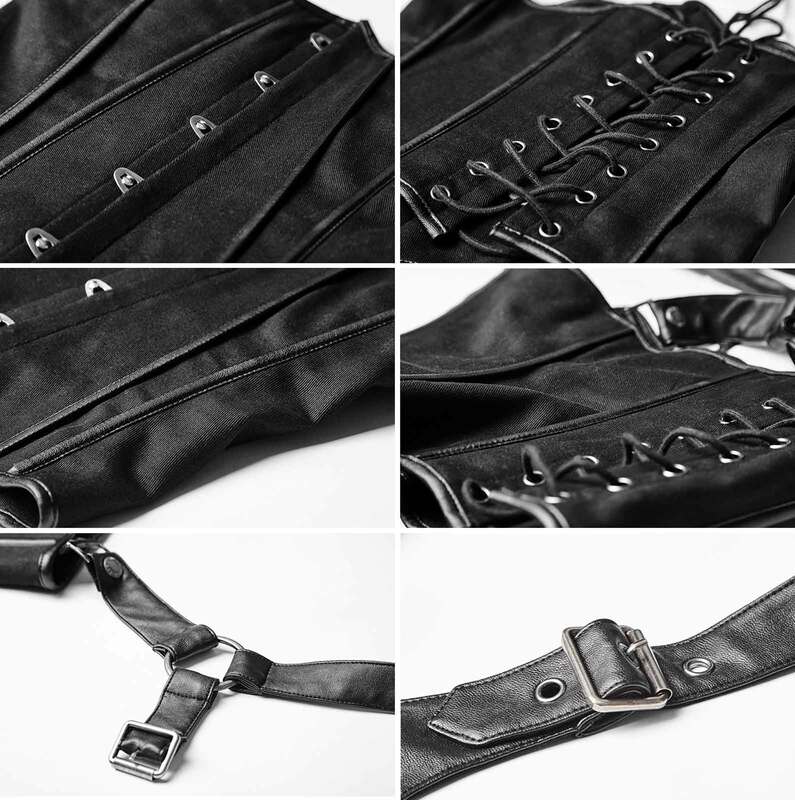 Multi-use set containing a waist cincher and multipe leather straps by Punk Rave. Black cotton corset with leather straps - detachable and adjustable. Multi-use set containing a waist cincher and multipe leather straps by Punk Rave. Underbust corset, made of firm black cotton twill with leather contrasts. Front metal planchette and 16-hole lace up back. Light boning. Faux leather straps. The upper belt comes separately, heading under the bust and crossing in the back; everything adjustable by 3 buckles to fit your body. The leg straps are snap-fastened to the corset and can be detached and adjusted. All three pieces can be worn together as shown or separately combined with other garments.